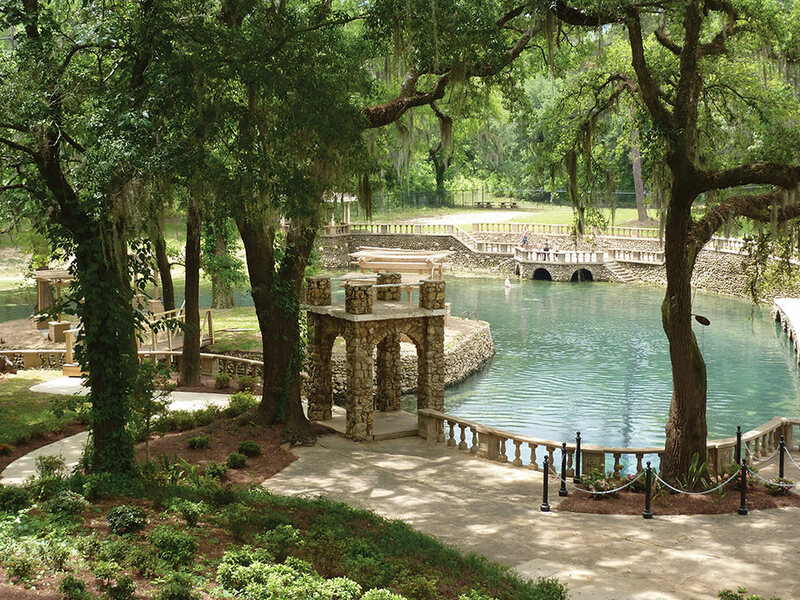 One of Georgia’s Seven Natural Wonders, Radium Springs Gardens pumps 70,000 gallons per minute of clear, 68-degree water from an underground cave. Walk through a courtyard where the former Radium Springs Casino once stood, enjoy foliage-draped hillocks, crystal clear waters and flora both indigenous and exotic. The park features a restored terrace, new sidewalks, a casino garden and gazebos.